Brothers and sisters, do you hear that ringing? It ain't the ice cream man, it's the death knell for all the Nashville pretenders. South Mouth provides a knock out blow to those who think being a country singer means painted-on jeans, a flawlessly manicured mustache, and a mysterious fondness for Brooks & Dunn and the Eagles. Building on the prodigious promise of his first album Country Love Songs, Robbie's second album CEMENTED his status as an ample, weird, extra special talent. Check out this formidable triple threat--drop dead writing, singing, and playing. The honky-tonk chops are impeccable, the pop smarts undeniable, and Robbie's vocal abilities infuse themselves into every song with just the right tone needed; a snarl, a smile or sadness. This is the album that catches the rising Robbie star as he proclaims to the world that Nashville can't get it up with a crane. From #1 to #13, South Mouth exudes a kaleidoscopic talent. Uptempo honky tonk classicism (but with a decidedly Fulks-ian lyrical bent) are found on "Goodbye Good-Lookin'" ("She had legs that would not quit and they're walkin' still"---man oh man, what a line...), "I Push Right Over" and "Busy Not Crying." Fulks' sharp wit is all over the western swing of "I Told Her Lies," the love song to a salty lass "Dirty-Mouthed Flo" and the now legendarily profane scandalous love song to Nashville (you know the one). But do NOT treat Robbie as a novelty. 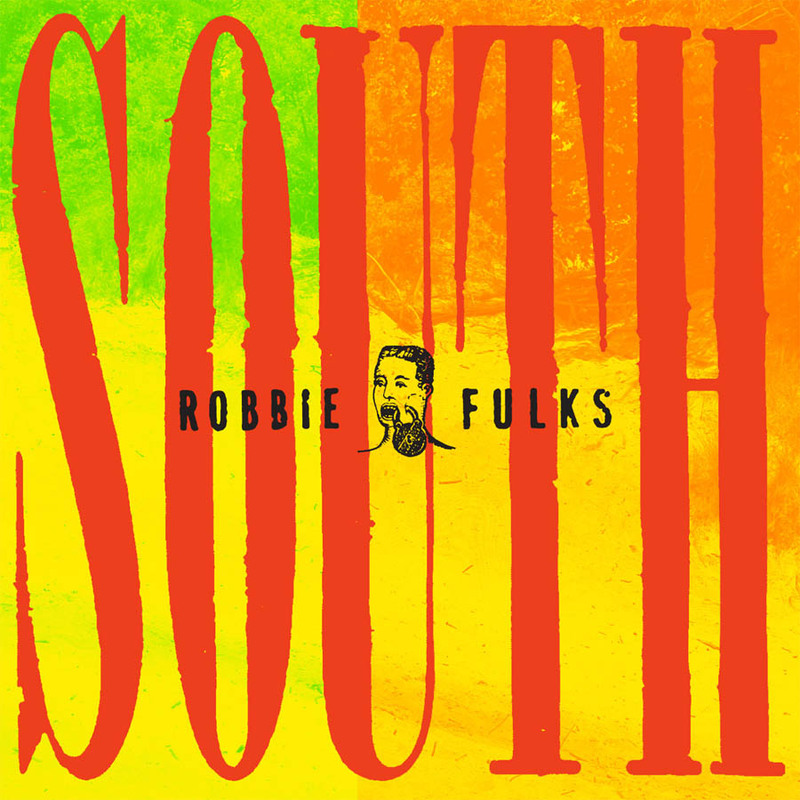 The snarling prison rocker "Cold Statesville Ground" or the gorgeously mournful bluegrass infused murder ballad "South Richmond Girl" suggest Robbie is not to be dismissed so easily. And the chilling ballads "Forgotten But Not Gone" and "You Wouldn't Do That To Me" could be fully formed novels in their pathos. Every song here is a keeper. Deriding the feel-good bombast peddled by generic Nashville acts, Fulks again traffics in throwback country topics: grisly murder, serious heartbreak, and a hilarious human oddity or two. South Mouth proves he can easily handle any form in the genre…and is good enough to validate the whole contrarian enterprise. Stands in sharp contrast to the cliche-ridden blandishments extruded by the Music City machine. It says a lot about Nashville that someone as good as Fulks is putting out albums on a Chicago-based independent label, but, hell, even Buck Owens would probably have trouble getting a deal if he were starting out these days. Judging from the '50's style hard-country sound of his second disc, you'd swear Fulks once traded beers with Webb Pierce. Tough luck Nashville--you're left will all those Tracy guys, and Chicago got the genius. If there is anything more surprising than the dynamic sounds Robbie Fulks can squeeze from his junky-looking acoustic guitar, it's the darkness, wit, irony and originality he squeezes into deceptively traditional country melodies.